Posture can be looked at as the way you sit, walk, run, walk, eat, and sleep. Have you ever had a long drive and notice your legs and back start feeling sore? The way you align your shoulders down your back can make an entire difference in your life. All it takes is a moment to notice the way you are carrying yourself through life. 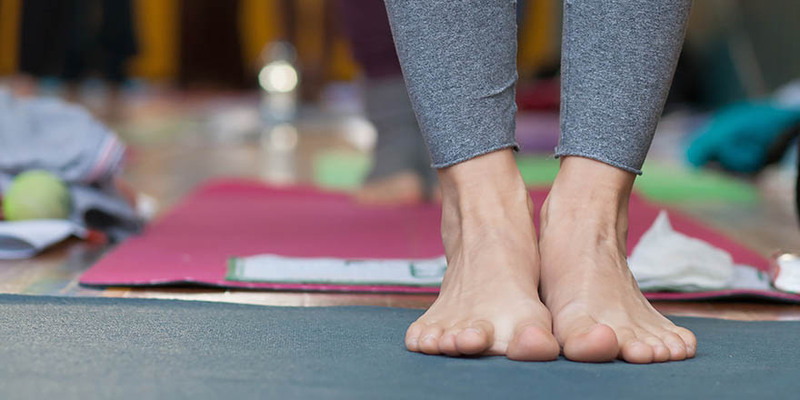 Yoga helps improve you posture and body alignment. It is great to practice to stretch at least once everyday. We tend to hold the same pose in many aspects of our life. Check in with yourself throughout the day to improve your posture short and long term. When holding the same position for a long period of time on a daily basis you start to shape your body in that way. If you find yourself crunched over reading or after sitting at work all day, take a minute to straighten your spine out. Imagine there is a light shining down through the crown of your head elongating out through your tailbone. 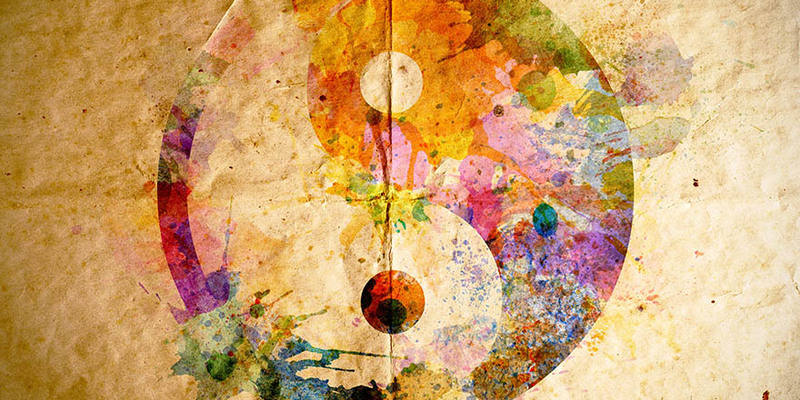 Embrace this alignment of light with your spine, as you feel each vertebrae stretch itself individually. This small step can lead to a straighter spine. A yoga pose that helps improve your posture is Tadasana or mountain pose. To try this posture, you just stand with your feet at hips distance apart and hands start just rested on your side. Inhale as you lift your arms up to the sky. Relax your shoulders down your back on an exhale. Keep your arms lifted and allow your palms to meet above your head. Hold this pose for five deep breaths then slowly release your arms back down to your sides. Notice what you feel after you release the pose. If you practice this at least once a day it can make a huge improvement on your posture! Always remember that many of our aches and pains come from bad posture. If you find yourself in pain just go back to checking in with yourself. What is your body trying to tell you? Listen to what it is saying through aches and pains and try to adjust yourself. To be witness to what you experience will ultimately lead to a happier and ache-free life! A little effort everyday will bring you closer to what you want to accomplish, especially with posture. Your body needs constant maintenance so try your best to be aware of what it has to tell you! At the start of every practice, give gratitude to at least one body part that helped get you there. 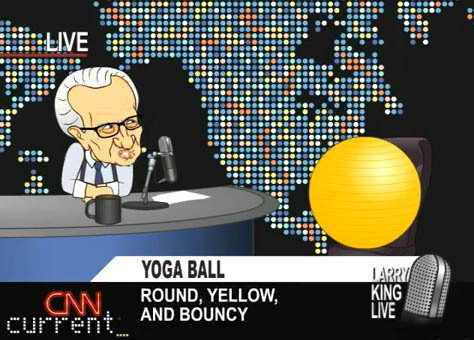 Larry King Interviews a Yoga Ball, SuperNews!